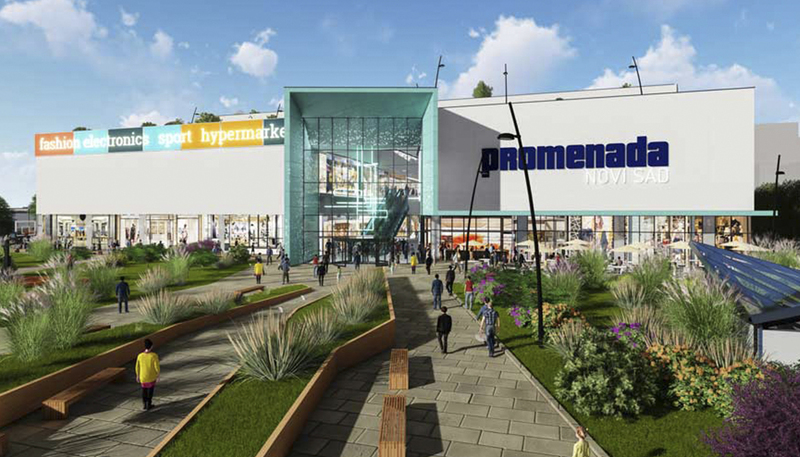 The City Administration of Novi Sad has issued the building permit for the first phase of the construction of the shopping mall Promenada in Novi Sad, whose investor is NEPI Real Estate Project One. Given his long time partnership with NEPI Invest in many successful projects delivered in Romania in the last 5 years (e.g. Victoria Office Building, Timisoara Shopping City, Vulcan Retail Park, Galati Shopping City , Mega Mall, Piatra Neamt Shopping City etc..) Global Technical Group was appointed entrepreneur also in Promenada Novi Sad and in this respect has already opened a new HQ in Belgrad that currently has 10 employees with additional staff being detached from Romania on project basis. This investment is worth around EUR 100 million, and it should provide jobs for 1,500 people and is expected to host about 150 tenants. The Promenada Mall project in Novi Sad is expected to finish by the end of 2018.